iPod (iPod Touch, iPod Classic, iPod Shuffle, iPod Nano) can be one of the most welcoming portable media players around the world. People can transfer music, photos, videos, games, contact information, e-mail setting to their iPad through iTunes and can also backup their iPod information to iTunes. These really bring great conveniences to iPod fans. Why Need to Disable iPod Backup Password? Convenient as it is, but it sometimes does trouble us. Many users encounter such cases: update iOS 10/9.3/9/8/7/6 but when try to restore the backup did before, iTunes keeps asking for a password but never have set it or simple forgot iPod backup password. 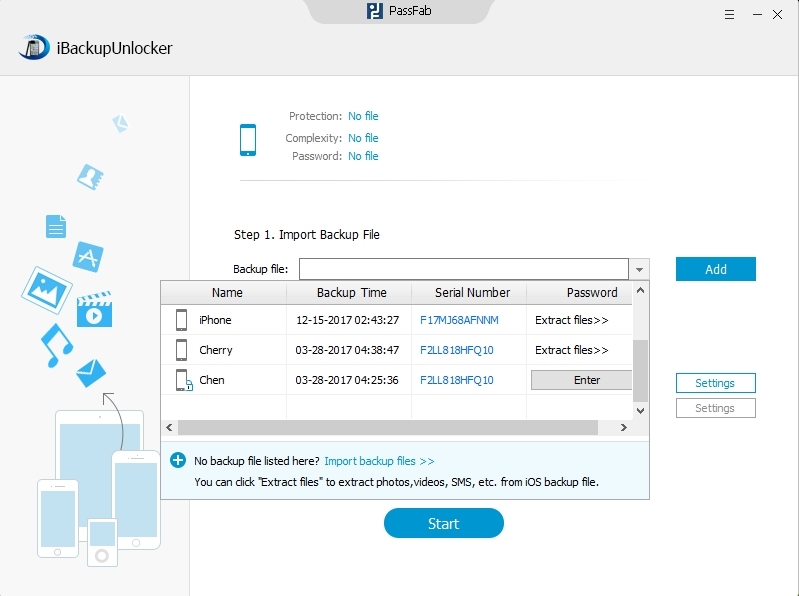 This can be very troublesome as you cannot restore from your backup and your date will be unrecoverable. If you are in the trouble of forgetting password to your iPod Touch 5, 4 (or other versions of iPod), you can try to click the "Forgot Password" link right to the password filed. If you still have access to the email account, then you can reset iPod backup password easily with it. If you don't have access to the email or think go through the email reset process is too complicated and time-consuming, you can turn to use the powerful iPod backup password recovery software. How to Turn Off iPod Backup Password? iPod backup password recovery is the most commonly used way to retrieve iPod backup password. 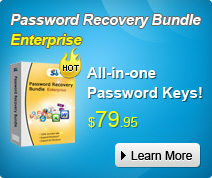 It can instantly retrieve your lost or forgotten iPod backup password no matter how long or how complicated it is. And you can find iPod backup password easily with iPod backup password recovery software in three steps. Firstly, download iPod backup password recovery and install it on your PC by double clicking the ".exe" file. Launch the application and click "Open" to import the manifest. Plist file. Tips: manifest. Plist file is stored varies depending on the computer's operating system. 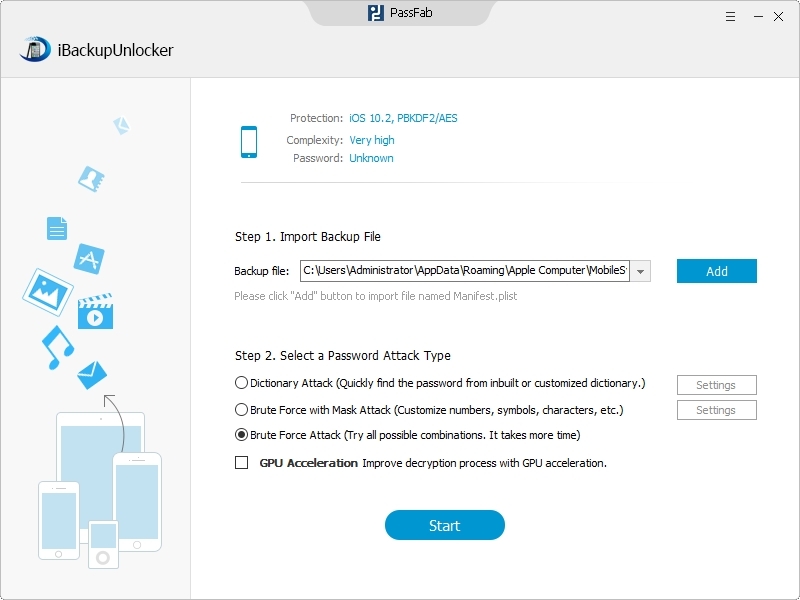 Secondly, choose the most appropriate attack type to find iPod backup password (Three attack types available to select: Brute Force Attack, Brute-Force with Mask Attack and Dictionary Attack). 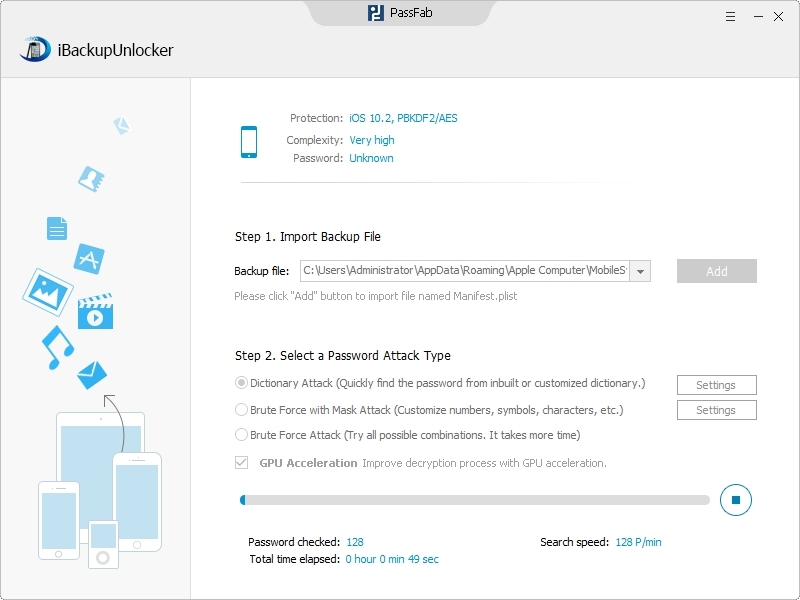 Finally, click "Start" and start to unlock your forgotten encrypted iPod backup password. You will get your lost iPod backup password within several minutes. Following these three steps, you can easily disable iPod backup password with iPod backup password crack software. And now you are able to restore iPod data from your backup stored in iTunes again.